Grab your friends. Make new friends! 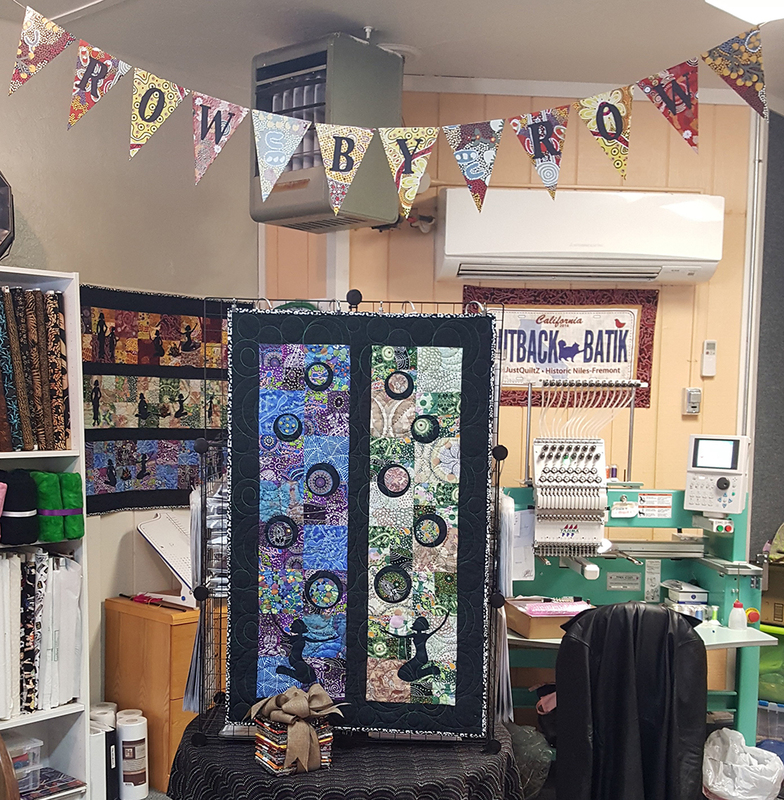 Join in the fun for a fabulous tour of the Bay Area’s best quilt shops (San Francisco to Pacific Grove). Flyers with maps are available at NotJustQuiltz. Are you ready for another summer of traveling, finding new quilt stores and picking up your free Row By Row patterns? Well, the fun started on June 21 and we’ve seen a lot of people already. It helped, of course, that Shop Hop by the Bay was happening at the same time Row By Row started. 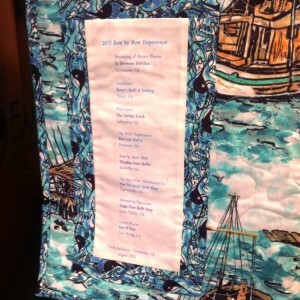 The theme this year is “Home Sweet Home.” Visit www.rowbyrowexperience.com for participating quilt shops in the areas you live or travel to. Let’s review the rules. When you go to any quilt store in the U.S. and Canada (and now 8 European countries), you just ask them if they are participating in Row By Row. If they are, they will give you their free pattern to make either a horizontal or vertical row that will measure 9″ high by 36″ wide. They will have kits for you to purchase, plus they may have license plates, car pins, charms, Row By Row pins and Row By Row fabrics. Take your time to look around and see what they have. If you are competitive, then you’ll want to complete at least 8 rows and make them into a completed quilt including binding and a label on the back that gives the names of the 8 stores where you bought your rows. 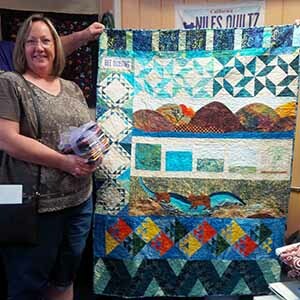 If you are the first person to deliver your quilt to a participating shop, then you will win 25 fat quarters from that store. If you have also used that store’s row in the quilt, they may have an additional prize for you. Our row this year is a vertical row in Aboriginal fabrics that illustrates the Aboriginal landscape. Since the Aboriginal people are nomadic, they don’t have a “home” per se. The women gather the food and the men hunt. When they are together as a family sitting around the fire pit, they also tell their “Dreamtime” stories about their spiritual beliefs and ancestral history. When you purchase a kit, you also get another set of female images so you can decide if you want to make the row vertical or horizontal. 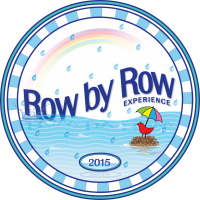 The Row By Row Experience goes through September 6, 2016. So ask your friends and family who live in other areas, get a pattern or kit for you and you do the same for them. 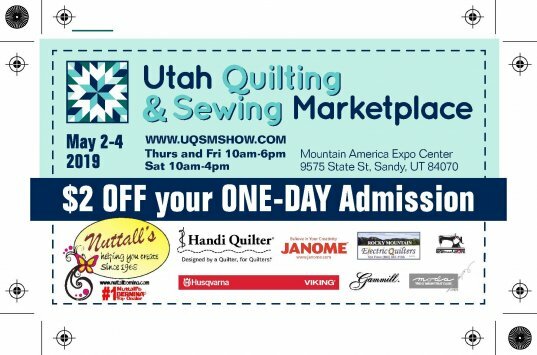 Sew Craft & Quilt Show: Fresno Fairgrounds – April 28-30, 2016; 10-5 on Thurs. & Fri., 10-4 on Sat. A new kind of shop hop—have fun while on summer vacation. 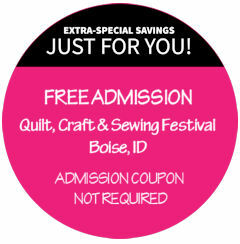 Look up on www.rowbyrowexperience.com for participating quilt shops in the areas you live or are travelling to. 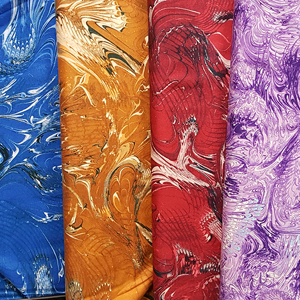 Pick up a free 9” x 36” pattern from each participating shop. 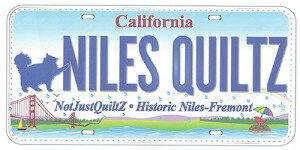 NotJustQuiltZ is participating and we will have kits to go with the pattern and a license plate of our shop for sale. 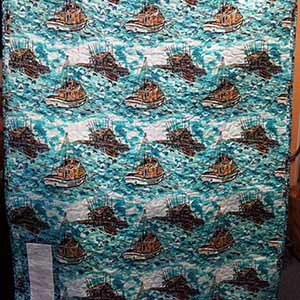 The first person to bring in a completed quilt with 8 different rows will receive 25 fat quarters. Join the fun! August 17: We have a winner! It’s Cindy Delumen of Livermore, CA. She used rows from In Between Stitches, Livermore; Roxy’s, Tracy; Cotton Patch, Lafayette; NotJustQuiltZ (Historic Niles) Fremont; Wooden Gate, Danville; Fat Quail, Laytonville; Sugar Pine, Grass Valley and Sew N Sew, Fort Bragg. She receives our fat quarter stack of Aboriginal fabrics plus a gift certificate for using our row. Congratulations, Cindy!